Transformation one RACE at a time. 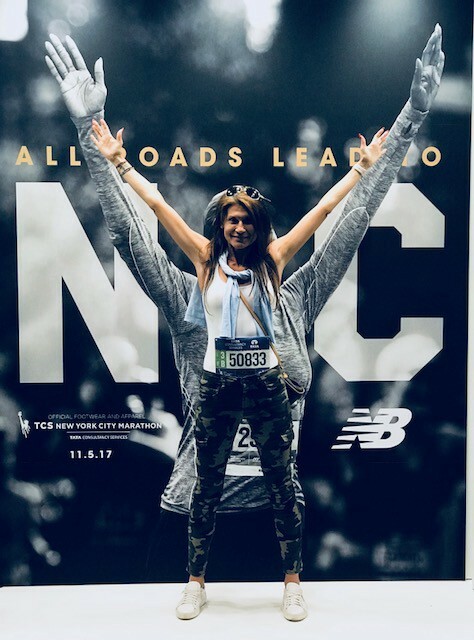 What an incredible experience the TSC New York Marathon had been. The VIBE, the ENERGY, the SPIRIT. Unforgettable. As I SENSE the aches and soreness in my body, I bring back the feeling of admiration for all the amazing people with whom I shared the race course. At mile 23rd — I started rewinding mind-captured pictures of all blind, injured and disabled people who were choosing to overcome themselves by giving their best in this competition of SELF. All just in time for my mind’s an Oscar quality speech to quit. Seeing People of different colors, faiths and religions running in togetherness. Crowds of diverse backgrounds living it up, together in the moment. It was moving. It was inspiring. It was changing. Negotiating with the toughest hijacker — YOURSELF and winning each time is the battle worth waging. Taking the risk and not losing your hostage in the process — priceless. What makes it so rewarding is the realization that nobody and no-one can ever take it away from you. It cannot be lost, sold or exchanged for any goods. It Is yours to keep — the experience and the victory! Stop then dwelling on your own pitty-ness and “I cannot” rubbish, because something seems too difficult or too inconvenient. (getting at 5 or 6 am to go for a run it is hard yet it is when the commitment is born). Stop telling yourself you have been dealt a wrong card (things will not always go the way you wanted yet believe it or not they always go for you). Stop looking for yet another excuse in yourself and others (you are no less or more special than anybody else — nobody owes you anything). Stop telling yourself that somebody got in your way (accept that everybody is on their own journey and get over it). Stop blaming what surrounds you for your own dissatisfaction (you are the captain of your destiny — don’t like where you going change the direction). You can change the world. You can have the most amazing and rewarding experiences. You can climb that mountain. You can run that race. You can write that book. You can impact someone’s life. Visit my Community Involvement Page to see what is coming up next for me in my pursuit of 50 DEEDS of LOVE Campaign.